There is a lot to think about when it comes to an LMS and compliance. Not only does it need to provide technical abilities but it also has to be conducive for employees to actually get the training they need. So, it would be safe to assume that the compliance requirements for the finance industry will be different then manufacturing and health care, for instance. This is just a short list of all the various scenarios that would make compliance difficult for the learning & development team. Customization of an LMS is the only option if you want a compliance system that perfectly fits your needs. SO WHAT IMPROVES CUSTOMIZATION FOR SPECIFIC COMPLIANCE NEEDS? 1. Ease of Use. Compliance is tough enough. An LMS shouldn’t complicate things even more. In the case of ShareKnowledge, our clients like the fact that it utilizes familiar Microsoft technologies that employees are already comfortable with. 2. Multiple Interfaces. There is no question that most companies have a dispersed workforce to some degree, so it’s important that wherever they are they can access critical compliance training. 3. Multiple Languages. Many LMSs offer standard languages, but how difficult is it to customize for less common ones? 4. Automation. When your workforce is distributed, it’s more important than ever to have the ability to automate your compliance processes. 5. Flexible Learning Paths. Content related to compliance is not always easy to understand. So, it’s important that an LMS can provide learning in a variety of ways from micro-learning to social and gamification. During the LMS selection process, keep these features top of mind while exploring additional requirements. During the LMS selection process, it’s just as important to learn how the system addresses compliance as it is for general training. Technical requirements must be considered but it’s also important to think about what additional compliance requirements your business has that might require customization. A good way to start is to map out your requirements from a compliance point of view. Then, translate the actions that need to take place into a workflow. By creating this mini version of your training program and putting it through its paces will show you exactly where the workflow breaks down. The administration aspect of the LMS is just as important as the learning aspect. Different administrators should have access to different parts of the system: the safety manager needs to see all records for safety courses, but not for HR courses; line managers need to see all training records for all the staff reporting to them, but not for staff outside their department. And lastly, let’s talk about reporting. Reporting can make or break your compliance program. One big question you’ll need to ask during the selection process is if you can customize reporting and how difficult the process is? With customized reporting capabilities you can quickly and easily pull any data needed. An LMS that can be customized for your compliance needs provides a host of benefits including time and cost savings. It also provides peace of mind that it can be tailored to accommodate specific use cases. Be sure to consider some of the key areas we discussed in this blog when evaluating systems. 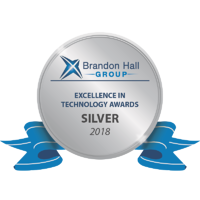 Brandon Hall award winner, ShareKnowledge excels with the most difficult compliance needs. That is because it inherits every business process and workflow already developed and then enhances them with the LMS feature and functionality required to manage enterprise training programs — turning every SOP, work instruction or content into a trackable, reportable and potentially automatically distributed training resource. If you think that ShareKnowledge might be a good fit for your business, please fill out the form and a member of our team will reach out shortly. Looking for an easy to use, affordable, robust LMS? Contact us for a demo!